The Danu. The "little people." Everyone who is Irish knows of this mystical race. Many doubt they ever existed. However, there are as many today who claim that they are still among us. What if the Danu were not myth but were based on historical evidence? 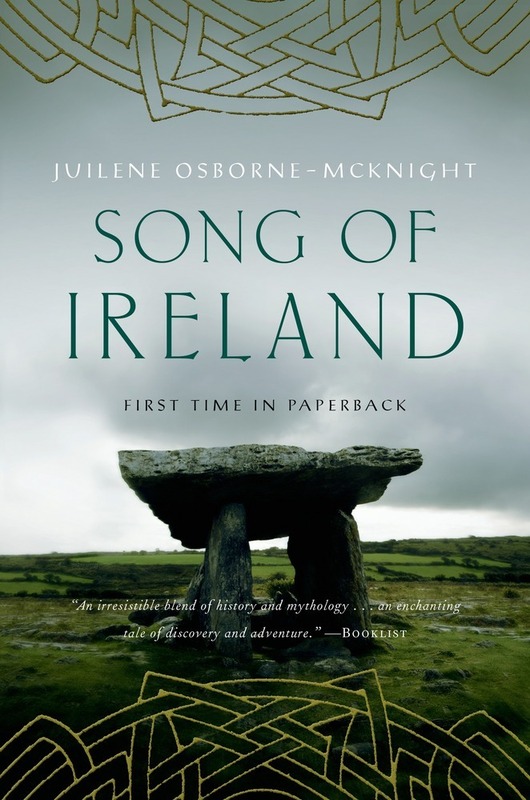 Song of Ireland is Juilene Osborne McKnight's tale of the coming of the Celts to Eire and what they find there: a land of abundance and beauty that the Celts would make their own. But the Danu have secrets of their own, and those who wish to conquer find that it is not only their sword hands being challenged but their hearts. And the coming battle to claim a new world may change both races forever. JUILENE OSBORNE-MCKNIGHT is an accomplished folklorist and teacher on Celtic culture and history. She is the author of I am of Irelaunde, Song of Ireland, Bright Sword of Ireland and Daughter of Ireland. She resides in Pennsylvania.